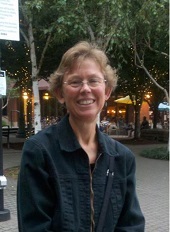 Susan Johnson became an Assistant Professor at UW Tacoma in 2013. Prior to this she was a part-time lecturer at the university while completing her PhD at UW Seattle. At UW Seattle, she was an Occupational and Environmental Health Trainee, and her research focused on workplace bullying. She has given presentations both nationally and internationally on this topic, which contributed to her receipt of the March of Dimes Nurse of the Year award in the category of New Generation in November 2012. Dr. Johnsons dissertation work on workplace bullying was honored with the distinguished Dissertation Award from UW Seattle. Dr. Johnson graduated from UNC-Chapel Hill with a BSN in 1986, and worked as a hospital nurse on med-surgical, oncology and psychiatric floors until 2008.